Criticizing the excesses of higher education has become a cottage industry for conservative writers. * And so it should be, but are we learning the right lessons from this rich banquet of bile? School choice is one reform idea that makes sense, but the school choice people put too much faith in the idea that market choice alone will solve problems that originate with leftist ideology. Far too often, in poor-performing districts, school choice laws simply empower the creation of poor-performing private schools teaching the same leftist ideology taught in the public schools. The parents want it. The community wants it. Expensive boondoggles ensue. And not everybody wants to reinvent the wheel by starting entirely new schools. Many prosperous, suburban public school districts prepare students well in the hard sciences and competently, if ideologically, in the liberal arts. Hard-working parents in such places have neither the time nor the desire to create entirely new schools for their children. They pay a lot of taxes, and even if some of them dislike their children being exposed to leftist political indoctrination, they are hesitant to move them out of public schools that do prepare their children for state and private universities and professional careers. Republican and conservative school reformers fall into two distinct camps. The legislatively (if not personally) libertarian school-choice reformers like Betsy DeVos and Jeb Bush believe vouchers and the competition they encourage will largely solve the problems created by leftists’ ideological stronghold over K-12 education. So long as vouchers are on the table, they are not averse to working closely with liberals like Bill Gates or supporting federal interventions like Common Core. To cast the best light on their advocacy for Common Core, the school choice reformers genuinely believe that Common Core is a pedagogical innovation that will raise education standards for students in deeply troubled schools. The other camp might be called the conservative curriculum reformers, and that is my camp. They include intellectually focused organizations such as NAS (National Association of Scholars) and the vast grassroots anti-Common Core movement. To paint with rather broad strokes, these advocates generally do not oppose school choice but see the need to primarily tackle what is taught instead of where it is taught. A vigorous defender of this position, and someone who merits more exposure, is Robin S. Eubanks, who blogs at Invisible Serf’s Collar. In order to work together to improve schools, the two conservative education reform camps need to reconcile their differences, not only strategic disagreements but also the bad blood created by the Common Core fight. One way to do this is to take a page from the radical left’s own handbook by targeting the teacher training schools. Teacher training is ground zero in the culture wars. Between the early 1960s and early 1970s, teacher training schools went from being the most conservative academic departments on campuses to the most liberal. This was no accident: it was a planned takeover, and by the time leftist terrorists such as Bill Ayers emerged from hiding, they quickly rose to the highest ranks of that academic discipline because it had already been entirely transformed. There are 3.5 million full-time K-12 teachers in the United States. In other words, that is 3.5 million jobs – not to mention the support service positions. If conservative college students know that they can major in the humanities and still get into a good teacher-training program even if their leftist college instructors grade them poorly or refuse to offer references, then we will see more conservative students pursing K-12 teaching careers. Creating just a few prestigious, traditional teacher-training schools that independently evaluate college and university graduates for admission will weaken the current leftist stronghold over teaching careers. Teachers’ unions will likewise be hurt by the existence of privately funded teacher training schools outside their spheres of influence. Conservative K-12 teacher-training schools are also the most practical first step to eventually repopulating humanities departments in colleges and universities. 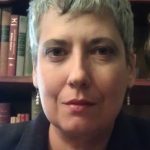 The current tenure system protects incompetent and vicious leftists in virtually every college and university humanities department, and bureaucratic power is concentrated in the hands of equally leftist administrators. Realistically, it will be years before conservatives regain a foothold in post-secondary humanities departments. Schemes to demand token conservative hires have proven both ethically and practically dubious. But even a few teacher training schools can take the deep talent pool of potential conservative scholars and set them on a path to eventually moving up to college teaching. Meanwhile, they will be earning paychecks and participating on the front lines of reforming K-12 education. Given the option, public school districts in conservative and mixed suburban communities will clamor for well-trained conservative teachers and so will some portion of dedicated administrators in failing urban and rural schools. 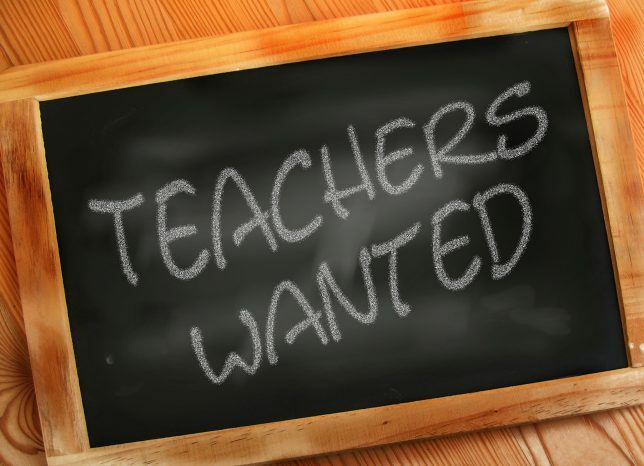 State legislators and state boards of education will have more leverage to change requirements for hiring teachers if the current rules are used to exclude a critical mass of highly qualified, conservative applicants. Politically, building institutions for teacher training serves both the school choice and the traditional curriculum factions of the conservative school reform movement. Tactically, this mission is healthy common ground for a movement that needs to get beyond the Common Core wars. And finally, the conservative movement as a whole will be strengthened by a “Marshall Plan” to train conservative teachers. We can’t all live high on the hog blogging or politicking for a living – nor should we want to. *The New Criterion’s January issue promises a feast of well-written analysis on the terminal decline of liberal arts education.